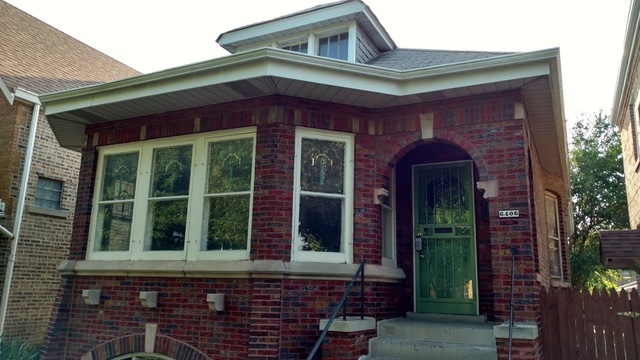 Large, brick bungalow built with beauty and functionality. Guarantee your investment! Southwest Home Equity Assurance Program insures the value of this home. Features newly stained hardwood floors, stainless kitchen with stunning glass block windows and walk-in pantry. Main level features 3 bedrooms and 1 bathroom with newly glazed tub. Walk-in closet for master bedroom. Finished attic features 2 additional rooms that could be bedrooms, office, game or rec rooms. Enclosed back porch is nice for private parties or additional living space. Lots of beautiful originals surrounded by tasteful updates. A true 2.5-car garage has room for a workbench or those extra toys. High efficiency furnace 2010. Unfinished basement has laundry, storage galore, and lots of open space that could be converted to additional rooms. The basement is already plumbed for a 2nd bathroom, including an open rough shower. Great block in a desirable neighborhood close to parks, schools, transportation.